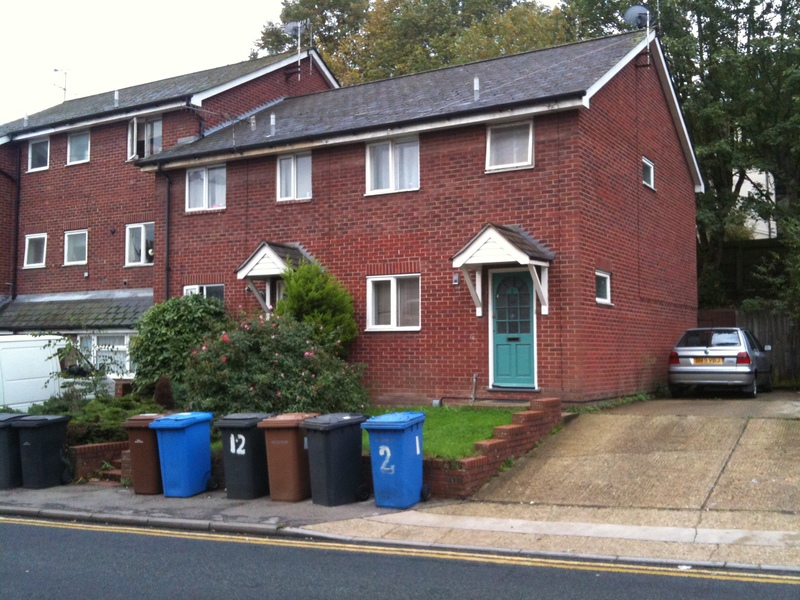 Outside this house on Burrell Road in Ipswich there is a parked car and 5 large wheely-bins. Some attempt has been made to keep them off the pavement but it has not been 100% effective. Interestingly no 99 next door is boarded up so this person appears to have the use of all of these bins. This is on a major pedestrian route to the Railway station and much of the rest of the street is lined of wheely bins. 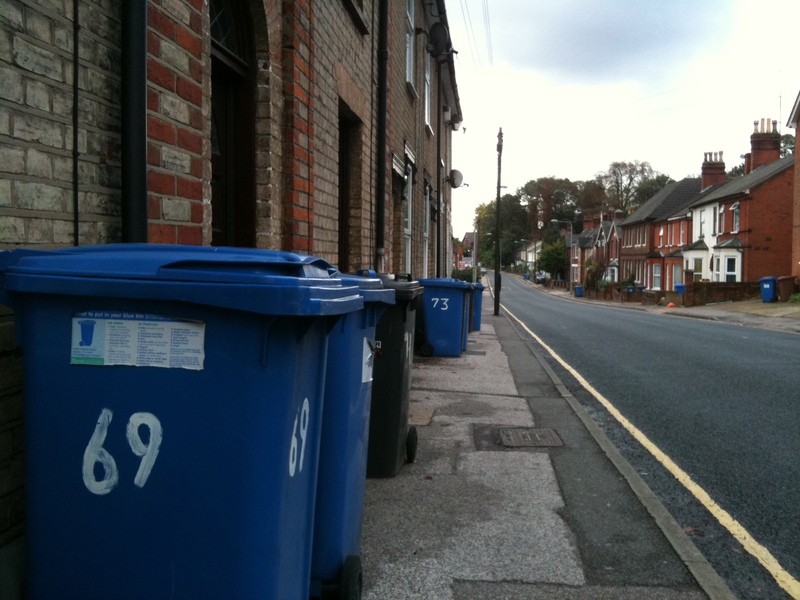 This pair of houses (below) on Burrell Road have 6 bins on the street between them. The one this end could keep them on their driveway. What about the left hand house? Well they do have off-street space. Finally, this terrace. The houses have no front gardens and no alley-ways obviously visible to get to the back of the houses. Do they really need such large bins? Could other provision be made or has part of the highway been permanently ‘privatised’ for storing household rubbish? 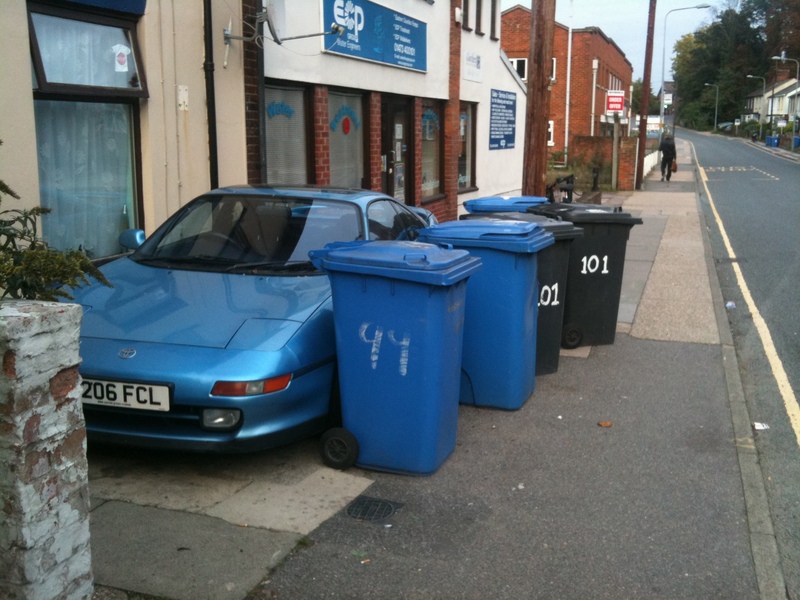 I am going to ask for clarification from the council as to the rules about leaving bins in the street at all, and in particular of having 5 bins and a car outside a single house. ← Has parking in shared use footways been illegal since 1988?